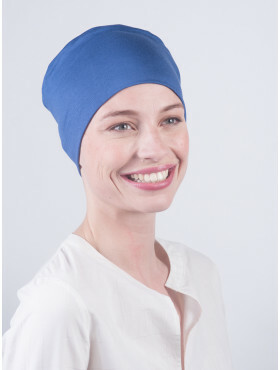 This chemo hat has the looks and comfort to brighten up even the dreariest chemo day. The soft sand-coloured fabric with its blue and offwhite print feels super-soft on your sensitive skin. Are you ready for those compliments?